When it comes to team-building, yards of fake spider web can bring a group together. 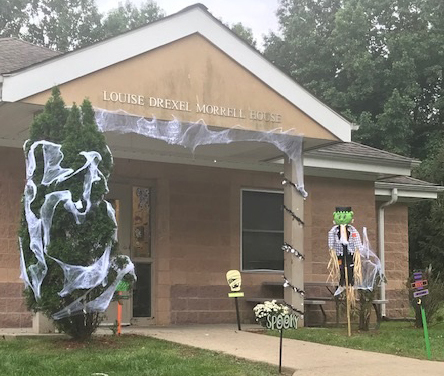 That was the case last week at the Louise Drexel Morrell Group Home in Bensalem, where residents collaborated on tricking out their cottage in time for Halloween. 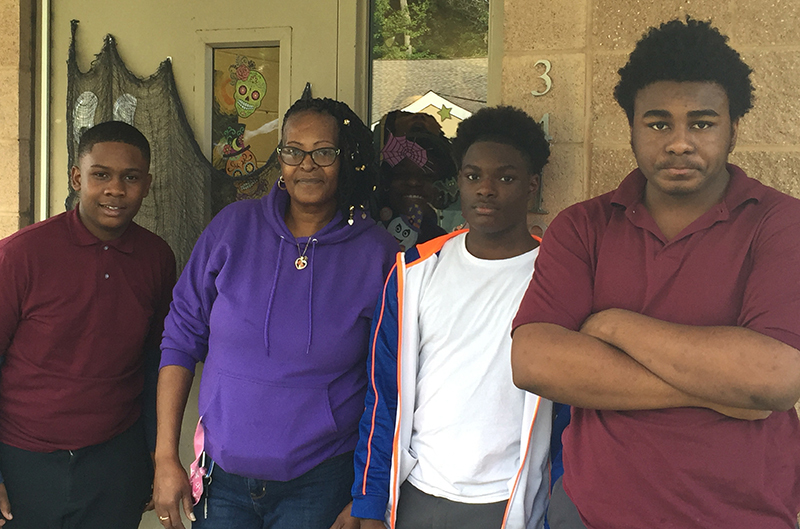 One of five group residences at the St. Francis-St. Joseph Homes for Children, Morrell houses 12 teens adjudicated to the home by the Philadelphia juvenile court system. Archdiocesan Catholic Social Services (CSS) oversees the St. Francis-St. Joseph Homes as part of its continuum of care for at-risk youth. 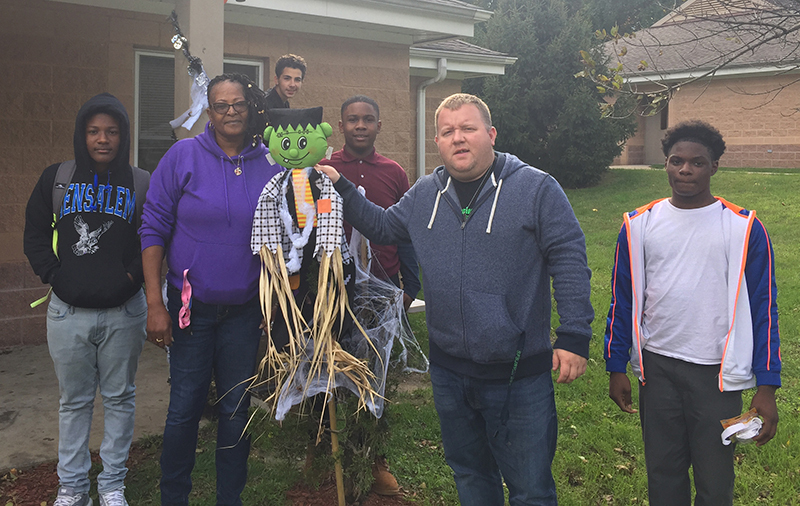 Morrell’s staff works to engage residents with recreational activities, life skills, mentoring and personal development – all of which factored into the decoration project, according to Morrell’s residential group manager, Matthew Dietrich. Frankensteins, skeletons, mummy bandages and, yes, yards of that fake spider web now cover the exterior of the house. 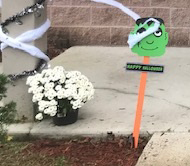 Clinical therapist Tiffany Fusco was delighted to see the group put theory into practice, even if it did result in a few bats and goblins here and there. Morrell residents Quidiar and Anthony were satisfied with the results – particularly the enhanced sense of community among the residents. “I just feel like I’m not in placement when we do things together,” said Quidiar.